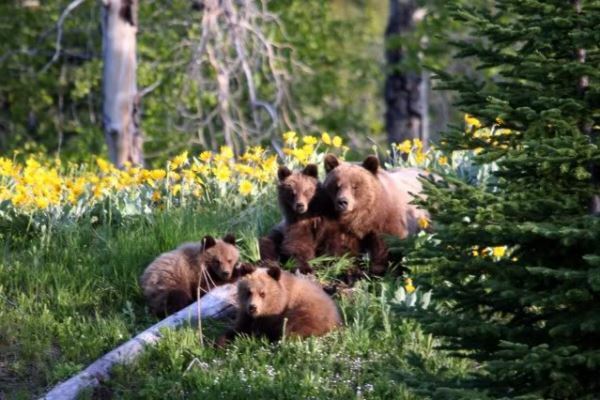 Spring is here - and so are the bears! Hiking British Columbia. Here in the Southern Chilcotin Mountains the bears are finally waking up and its a true joy for wildlife-viewing addicts like ourselves! We are privileged to live in an area where the only recorded examples of a grizzly-bear with 4 cubs has occurred. We hope to see many more fascinating wildlife phenomena this season whilst hiking British Columbia. Check out www.chilcotinholidays.com to see how we provide people with the wilderness experience. Hiking British Columbia affords you the opportunity to exercise and see rare glimpses of beautiful wildlife simultaneously.